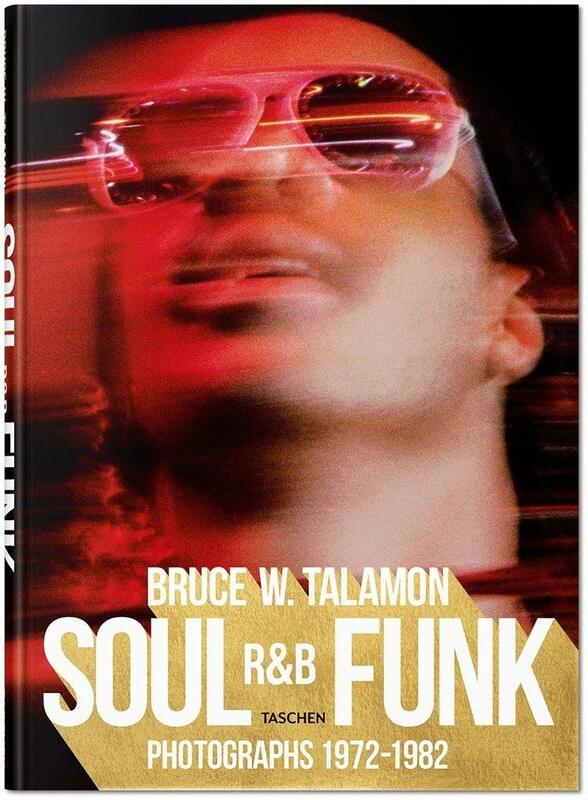 The coffee table book of the year for soul and funk music fans is without a doubt this oversize, hardcover volume featuring the early photographs of Bruce W. Talamon. Those who are familiar with SOUL newspaper will recognize some of these images. Started in L.A. in 1968 by Ken Jones and Regina Jones, SOUL was the first black-owned paper dedicated to R&B, soul and funk musicians. Talamon was hired in 1972 by Regina, who gave the young photographer his first steady gig, and before long he was shooting for national publications. From 1972-1982, Talamon captured R&B royalty in stunning detail—working up a sweat in concert, dancing on the stage of Soul Train, striking a pose during formal photo shoots, and enjoying quieter moments backstage and on the road. For example, there’s Marvin Gaye eating dinner in his mother’s kitchen, Labelle hanging out in their dressing room, the O’Jays backstage at The Forum, candid moments on tour with the Jackson 5, Stevie Wonder at Roscoe’s House of Chicken & Waffles in Hollywood, the P-Funk Earth Tour, Aretha’s 1977 portrait session, and the iconic shot of Maurice White at the Great Pyramids in 1979. Captions include comments by Talamon, who briefly describes each of these intimate moments. In the book’s introduction, Talamon laments that in this age of social media and tightly controlled brands, access to musicians is very limited. Now it’s nearly impossible for photographers to capture the spontaneity of the concerts, let alone the candid moments. By assembling his best shots from 1972-1982, Talamon offers “a celebration of the music, an aesthetic, [and] a style that’s gone…but for that moment, it was magical.” Indeed it was! 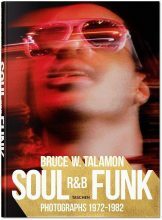 This entry was posted in African American Media, Publications, Rhythm & Blues, Soul, Funk and tagged Book Review, Brenda Nelson-Strauss, Bruce W. Talamon, funk, R&B, Soul, Soul R&B Funk Photographs 1972-1982, Taschen by aaamc. Bookmark the permalink.